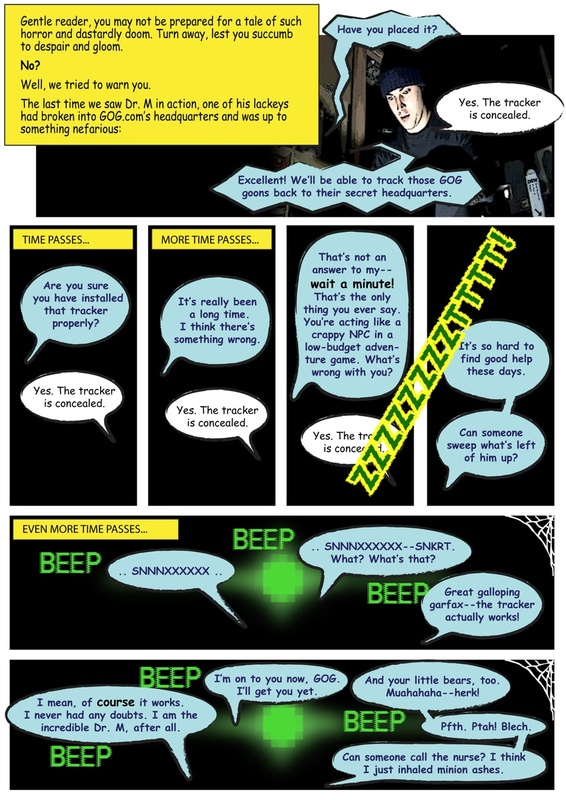 The secret behind last year's break-in at GOG headquarters is one step closer to being revealed thanks to a new comic strip featuring the mysterious Dr. M and his crappy, low-budget flunky. You may recall that back in November of last year, a black ops team broke into GOG headquarters with what was assumed to be a plan to steal the company's top-secret plan for future game releases. But as it turns out, that wasn't the plan at all; the real plan, according to newly-released documents, was to plant a tracker in the briefcase containing the plans, so that the mysterious Dr. M could trace the "GOG goons" back to their secret headquarters! And who is the mysterious Dr. M, you ask? For that, you have to go back even further, to September 2010 and the story of a budding mad scientist who was hurtled through time from 1999 to 2010 thanks to a particularly nasty Y2K bug in his office PC, before being snapped back to his own era. His glimpse of the future left him twisted and demented, and determined to get GOG! What "get" means isn't at all clear, but GOG promises to reveal more of the grim horrors that await over the next few days. The company is also planning to make a big announcement about a new deal with a big-time publisher, just ahead of E3. Could the two be related, or is Dr. M after even bigger things? 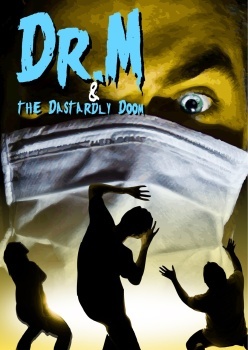 Stay tuned to the story of Dr. M and the Dastardly Doom to find out!